One of the most important things you can do to give your dog a long and healthy life is to ensure that he or she is vaccinated against both common and serious canine infectious diseases. Your dog’s mother gave her puppy immunity from disease for the first few weeks of existence by providing disease-fighting antibodies in her milk. After that period it’s up to you, with the help and advice of your veterinary surgeon, to provide that protection. Vaccines contain small quantities of altered or “killed” viruses, bacteria or other disease-causing organisms. When administered, they stimulate your dog’s immune system to produce disease-fighting cells and proteins – or antibodies – to protect against disease. 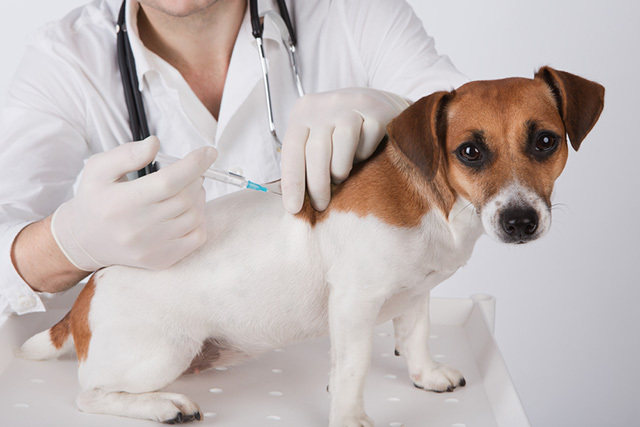 When should my dog be vaccinated? 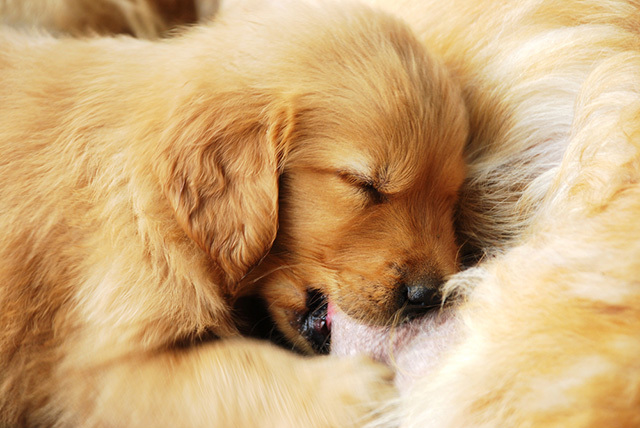 The immunity that a puppy has at birth only lasts for a few weeks. It is then time to begin vaccination. The first vaccination is usually given in two doses, the first dose at around the age of 6-8 weeks and the second about 2-4 weeks later. Thereafter, your dog will require annual ‘booster’ vaccinations for the rest of his/her life to maintain protection. Above all, follow the vaccination schedule recommended by your veterinary surgeon – if there is too long an interval between vaccinations, your dog may no longer be fully protected. Your pet should be protected against those diseases which are most common, highly contagious and which cause serious illness or death. Such diseases include Canine Parvovirus, Canine Distemper, Infectious Canine Hepatitis, Leptospirosis, Parainfluenza and Infectious Tracheobronchitis (also known as kennel cough). Rabies may also be essential if your dog is travelling abroad – check with the practice and with the Department for Environment, Food and Rural Affairs (DEFRA): Other vaccinations may be recommended, based on your veterinary surgeon’s evaluation of the risks posed by such factors as your dog’s particular heredity, environment and lifestyle. Like any drug treatment or surgical procedure, the success of a vaccination cannot be 100% guaranteed. However, used in conjunction with proper nutrition and good hygiene, vaccination is clearly your pet’s best defence against disease. Plus, when you consider what treating a serious illness can cost you and your beloved dog in terms of both money and distress, prevention through vaccination is extremely cost-effective. What diseases can you vaccinate your dog against? Very contagious, debilitating and widespread, Canine Parvovirus emerged in many parts of the world in 1978. Spread through infected faeces, the highly resistant virus can remain in the environment for many months. Symptoms of Canine Parvovirus include high fever, listlessness, vomiting and blood-stained diarrhoea. Vaccination is the only certain method of preventing this potentially fatal disease, which is most severe in young pups and elderly dogs. Vaccination against Canine Distemper, which is often fatal and hard to treat, is essential. Though very rare in the UK thanks to vaccination, Canine Distemper is still widespread in some parts of the world and continued vigilance with vaccination is needed to prevent the UKÕs dog population from becoming susceptible to the disease. Highly contagious, it is spread by discharge from the noses and eyes of infected dogs. Symptoms can include listlessness, fever, coughing, diarrhoea and vomiting. Convulsions and paralysis may occur in the final stages of Canine Distemper. Sometimes the disease is also known as ÔhardpadÕ on account of the thickened fissured footpads that develop over time as a result of the infection. The distemper virus attacks many organs, including the nervous system, which may be permanently damaged, even if the dog recovers. Caused by canine adenovirus type I, Infectious Canine Hepatitis is transmitted among dogs by contact with secretions such as saliva, infected urine or faeces. The virus commonly attacks the liver, and also can potentially cause eye damage. The course of Infectious Canine Hepatitus can range from mild to fatal. Vaccination remains the best protection. A second virus, canine adenovirus 2 contributes as one of the possible causes of infectious tracheobronchitis (or kennel cough). The most common form of the bacteria causing Leptospirosis is widespread in rats and spread in their urine into the environment where it survives well in damp conditions and in water courses, ponds and lakes. It can occur so suddenly that there is little chance of effective antibiotic therapy. 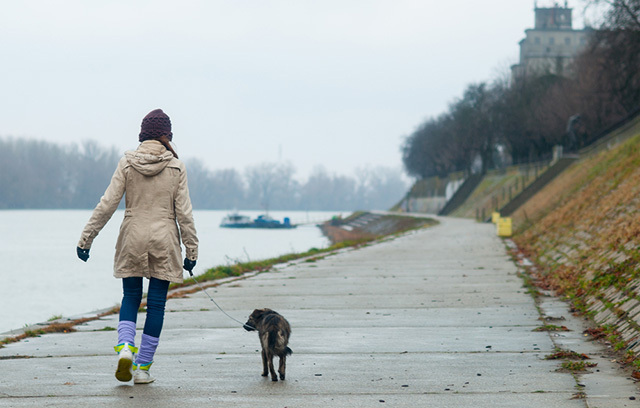 Dogs infected acutely with Leptospirosis can suffer liver or kidney damage and will need a long period of treatment if they are to fully recover. Of just as much concern is the lower grade disease which may go undiagnosed. It is also a disease that can infect and prove fatal in humans so maintaining the best protection by vaccinating annually specifically against this disease is highly advisable. Just as with contagious human respiratory disease kennel cough is easily transmitted from one dog to another, so vaccination is imperative if your pet will come into contact with other dogs in such situations as obedience training, the groomers, boarding at a kennel, neighbours pets or even just playing in the park. The disease is caused by various airborne bacteria and viruses. Bordetella bronchisepticais one of the main causes of this disease and together with the most common viral cause, parainfluenza, can be protected against with a separate intra-nasal vaccine administered as drops up the nose. The first sign in your dog will be a dry, hacking cough that sounds as if an object has got stuck in the throat. This virus attacks the intestinal system and occasionally proves fatal to puppies. Symptoms may develop quickly and can include vomiting, diarrhoea, dehydration, loss of appetite and depression. This incurable and fatal viral disease affects the central nervous system of almost all mammals, including humans. It is spread through contact with the saliva of infected animals through bites or any break in the skin. Though not present in the UK, this disease occurs widely throughout many other countries of the world.